2016 sadly saw the end of the High Sheriffs Award for excellence in Volunteer Management. This award that offered volunteers a chance to give back to the charities that they volunteer with awarded a £1,000 prize to organisations showing good practice in volunteer management. Over the years hundreds of organisations were nominated for the support they give to their volunteers and the Volunteer Essex network had the pleasure of reading the stories of the volunteers who nominated them and what they get from their volunteering experience. 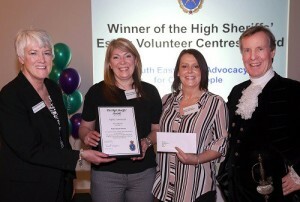 Across Essex many districts have their own award schemes for volunteers to recognise their great work and commitment. your local Volunteers Centre will be able to tell you more about award schemes in your area.